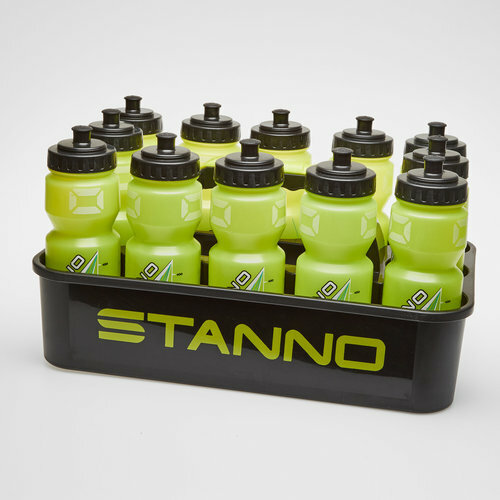 Keep your team hydrated in training or at matches with this Stanno - The Luxe Botte Carrier & 12 Water Bottles. This plastic bottle holder holds up to 12 bottles with all 12 bottles included. Give your team no excuses by providing them with a method of refuelling. The water bottles provided have a contents of 0.75 litres and come with a screw cap and a large pullout drinking opening.